On Sunday, November 9th, hostilities between the Ohio Warriors and Fatallity ceased, and we were victorious. The war marked one very significant event, and several performances worthy of praise. However, as with any championship caliber team, there is always room for improvement. I will point out some of the most noteworthy observations and achievements, as well as a few areas where we need to improve. But first, a congratulations to the Ohio Warriors, and the business-like approach to romping the adversary. 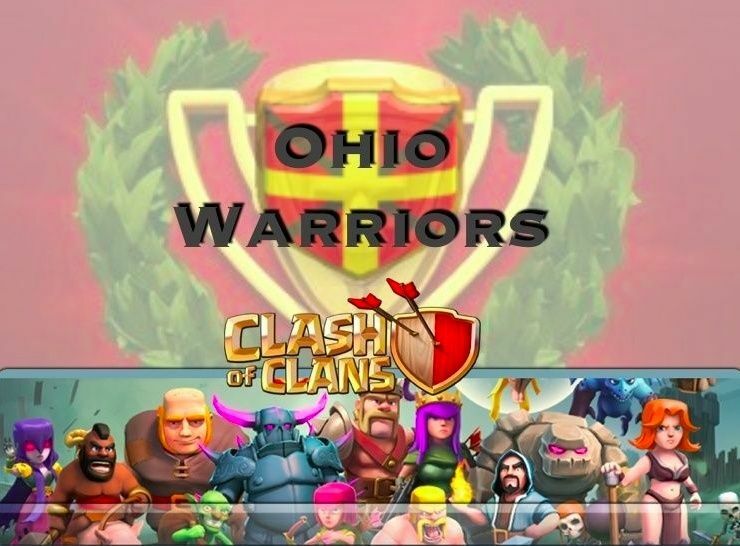 1) For the FIRST TIME in Ohio Warriors history, our clan used every single attack. This is something that simply does not happen often. Between schedules, and the status of a war, there is almost always a reason for a player to not use both attacks. The dedication, loyalty, and DISCIPLINE of the Ohio Warriors is uncommon and exceptional. This is what separates average from exceptional. Well done! 2) For the most part, we did a good job using the first attack against our corresponding number or at least the same TownHall. This is quite possibly the single most important factor in the overall clan war winning strategy. Similarly, we did not have players straying too far from their own town hall. Our opponent showed a lack of discipline in this area, and it really hurt them. Continue to do this with your first attack. *For any newer players, please note that dropping below your town hall to attack, without cause or reason is a kickable offense, and this rule has been, and will continue to be enforced. 3) We are beginning to use the Forum more for war communication, when corresponding numbered opponents are being called. We still have some bugs to work out, but this week was a great improvement over last week. One note on the forum: you may think it is too cumbersome to look up to see if a number has been called, but it’s really not. What you can do, is as soon as the “call your number here” post is up, you can pull up the page on your device, and leave it up. Once war starts, you only have to go to the page and refresh, to see if an opponent has been called on that thread. I encourage everyone who has not tried, to give it a try. 4) We have a new top tier player, Fluffy Pandam, who donated time and treasure for the war effort. Thank you Fluffy for your selfless service to the clan. Your dedication reflects great credit upon you, and your clan. 5) We have had some movement on the redesigning of war bases since our loss to Maldives. This shows a general sense of duty to clan by improving defensive strategy. Keep up the experimentation, we can only learn what works best one war at a time. 6) We had an excellent use of dragons by our TownHall 7 players. Dragons with rage spells, as we know are very effective against Town Hall 7 bases, since they do not have enough air defense (AD) to stop an 11 dragon attack. Good job with the dragons, TH7’s! Overall a very good performance against a “superior” foe ON PAPER. In terms of execution and discipline, I think we found Fatallity to be severely lacking, and that was likely their demise. That being said, we have a few areas we can improve on. 1) Tempers. Being the family that we are, we have a variety of different personalities in our clan, and they sometimes can clash. However, we always forgive and forget once the war is over. We need however to be aware of this DURING the war, and try to maintain composure at all times. Again, please do NOT post anything inflammatory or hurtful on the clan chat for all to see. Just stop yourself and wait to cool down. Elders, again, you need to be intermediaries on these situations and step in. It’s part of your job as an elder. When you see a conversation getting heated, you need to step in and ask the parties to cool down. Additionally, elders may NOT behave in ways unbecoming of an Elder. This would include making threats or making negative comments about the Ohio Warriors. Behavior like this will result in demotion. 2) The War Map. I would like for the top tier to wait a few minutes after preparation day starts at 3pm before starting to fill the War Map Clan Castles (cc’s). The players need a minute to adjust their donations request message if necessary. Let’s start by giving it 10 minutes. Largely, when a player reaches cc level 3, they are likely going to adjust their donation request message to ask for a dragon. 3) WAR TROOPS. There are NO MORE WARNINGS on this one. DO NOT go into battle with anything less than a WAR GRADE TROOP, AND A FULL CLAN CASTLE. This is a blatant disregard of our rules, and more importantly hurtful to the clan’s war effort. We are a WARRING CLAN. What you do during the week is your business, but come war time, you are part of the Ohio Warriors. Intentionally costing the clan stars will MOST CERTAINLY get you kicked from the clan. Dark troops usually level 3, but can vary by circumstance. 4) Please get in the habit of checking the forum before launching your second attack. Clan chat messages get buried with a quickness and just can’t be relied on. We will have all of the players who are calling their number under the same thread. It will be very easy. 5) Remember there is NO MORE asking for permission for the most part. If somebody did not call their number by battle day, then it’s fair game. So there really should not be a need to ask anyone for permission, because they either called their # or they did not. Unless you’re trying to talk them into letting you have their number that they already called. Great job on a great win, Warriors. Let’s maintain our discipline and keep the war machine well oiled. Feedback is always welcomed.